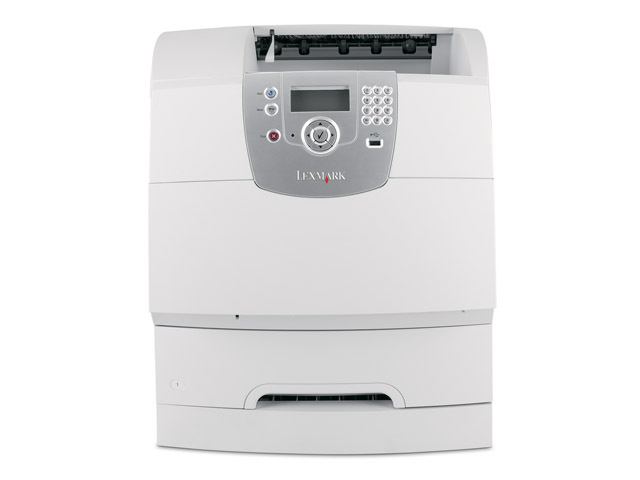 The Lexmark T644 gives your workgroup a new level of productivity and efficiency, with up to 48ppm print speeds and a very low cost per page! Armed with a rich range of top-notch security features, the T644 lets you print with utter confidence. Keep prying eyes away with solid transmission security, password controls, lockout modes, SSL security and much more! Big print runs don't have to mean big expenses. Achieve an incredibly low cost per page thanks to the optional 32K-page after-market cartridges, which are every bit as economical as they are efficient and easy to replace. Now you can print documents stored online, directly from the control panel, via integrated ImageQuick technology. You can even bookmark your favourite Web pages for automated daily printouts of world news, financial data and company reports.